How to build links in Bristol? This refers to the creation of content on your website, of such high-value and interest that it attracts links. How do you create content that screams to be linked to? Well, that’s the $64 million dollar question. It comes down to knowing your audience, knowing your subject and knowing what’s going to have mass appeal. It has to be unique and original, found nowhere else (until it becomes popular and people copy it) or even better would be uncopyable. Original research is great for link bait. It’s hugely time-consuming and expensive to produce and so it’s not easily copied. As it’s original and insightful people will want to share your research and link to it. You will still need to promote your content to people who you think will be interested. We call this “outreach” and it involves emailing or telephoning journalists, bloggers, publishers and website owners letting them know your content exists and why you think they and their audience may find it useful, in the process you’ll attract links to your content. Writing a guest post means contributing an article to someone else’s blog, for free. Neither you as the writer nor the publisher receive money to put the article online. Often it’s common place for your guest post to include a link or links, back to relevant blog articles on your website or if the publisher is a bit more strict with their guidelines, they may limit you to a link in an author biography. Guest blogging is probably the most common form of white-hat link building. The way to approach it is to search for blogs, news sites and online magazines relevant to what you do or sell and where your target audience are likely to visit. There are tools out there to help with this process but Google is free and gives great results. Search for something like…. sector keyword + “write for us” or sector keyword + “contribute”. This searches for all marketing blogs that include the term “write for us” somewhere. Often this will be an invitation to submit content along with guidelines on what they are looking for from your contribution. You may find this doesn’t return many results if you’re business is too niche. 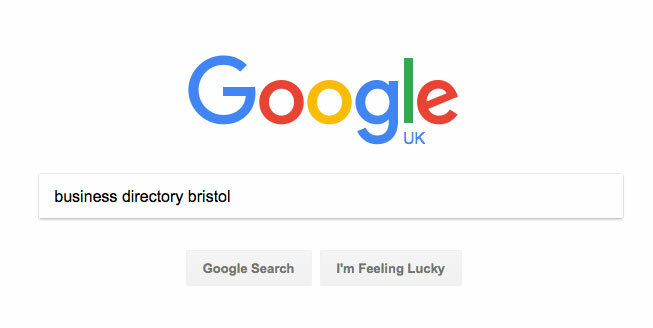 If that’s the case, either remove the “write for us” and just trawl through the results finding possible websites with a potential affinity or remove “Bristol” and widen the search out. Once you have some potential candidates then develop some content ideas that are relevant to both your business, what you do or content that you’ve written and to the “target” website and their audience. You can either then get in touch by phone or email and discuss your content ideas and how it would benefit them. Just sending out a list of content ideas may not get you very far, especially if you or your company are not very well known. In that case, you may need to actually write some of the content so website owners can actually read what you’ve written, see the quality and how it’s relevant to them. The knack with guest posting is in researching your target websites and making sure your content is relevant. Plus having a bit of a thick skin for all the unanswered emails you send out. A sponsored post is essentially advertising or advertorial. The key here is to approach websites which are extremely relevant to what you do and are likely to have large amounts of relevant traffic. Each website will have their own rates how much they charge for sponsored posts, it could be as little as £50 or as much several thousand pounds. It all depends on who their audience is and how valuable they are to you. As these posts are paid, to adhere to Google’s Webmaster Guidelines, the publishing website must add “nofollow” any links. Nofollow is an attribute which is added to the HTML <a> tag which makes up the link. It basically stops any “authority” from the linking website being passed to the recipient. That doesn’t mean the links are useless. Google does follow the links, they just don’t pass any authority. They make up part of a natural looking link profile (a website with 100% follow links looks unnatural) and if you’re choosing websites because of their relevance and traffic levels, then it’s likely you will get good quality referral traffic to your website and a good deal of brand exposure. Make sure you get the best deal for your money and ask that the publisher will include your article in their monthly newsletter and promote via their social media. Much in the same was as sponsored posts, product reviews are classed as a paid link if you sent out a free product for a blogger or website to review. Choosing the right websites to send out products for review is much the same process for finding sponsored post opportunities. Is the website and its audience relevant? Are they engaged with the website’s content and will you achieve your goal of increased brand awareness? Business directories are vital for local SEO, they provide a link or citation (mention) of your business and its contact details (NAP information). Don’t get too excited by the link, often they’re “nofollow” but even if it’s not, Google knows it’s a business directory and they’re easy links to build. Essentially you have some degree of control over it and so it’s power is going to be limited. The key to success with your business directory listings is relevancy, either in the form of location or niche. You don’t need 100s or 1,000s of listings to build that relevancy, on the contrary, you’d be in danger of diluting it by creating 100s of irrelevant listings. Start by searching on Google for “business directory location”, go through the first 10 pages and see if you can create listings on these sites. You can do the same for “business directory + niche” and again try to build as many listings as you can. Don’t create duplicates on the same directory. It’s unlikely you’ll get through anywhere near 10 pages worth of listings here. Maybe only a page or 2, depending on how niche your sector is. Should you pay for an “enhanced listing”? On the whole, we would recommend that you don’t. Most of the benefit comes from the consistent mention of your NAP details. However, there are exceptions to this rule. These are with niche relevant directories that rank very well themselves and so having a paid listing on such a website could in itself generate you new business. Think checkatrade et al. Remember though that any link on these sites will be nofollow and so have no direct SEO benefit. I mention these more of a warning rather than a recommendation. A private blog network is a group of websites or blogs that are under your control, or of whoever you are buying the links from. If you’re buying links like these then technically they’re a Public Blog Network as they’ll sell links to anyone who pays. The content on these blogs is often low quality and the links contained within are mostly exact match anchor text. The links pointing to these sites are usually of dubious quality and the links out can be just as random and nothing to do with the main topic of the blog. All of the above can leave tell tale signs that Google can pick up on. At best Google will ignore these links at worst you could end up with a penalty, either way, you’ve thrown your money away and possibly done serious damage to your domain name. My recommendation, however tempting buying links on PBNs or anywhere else for that matter, is not to bother. Spend your hard earned money on creating a better website with better content. Bristol has some amazing bloggers and local news sites. If you’ve got an interesting story or product to promote you will likely find someone with an affinity and a willingness to help you promote it to Bristol residents. Be prepared to pay for their help however and don’t expect too much in the way of SEO benefit. But link building shouldn’t always be done for the SEO benefit, I know it sounds counterintuitive but link building is about building your network and increasing your brand awareness. In turn that can generate earned links and new business opportunities.